When it comes to audio quality, I am fiercely fussy. If composer and musicians when to all that trouble to create a phenomenal piece of soul-shifting music, then dammit, technology companies must respect that and produce sound equipment which should have a single objective – the listener should feel as though they are actually in the room when it was created, and that the listener has suddenly developed Superman hearing. Finally, I have found a set of headphones that almost-almost achieves this objective – and it is no surprise that it was the team of Parrot and the legendary Philippe Starck who created the Parrot Zik Headphones by Philippe Stark. Simply beautiful, the Parrot Zik lives up to the extreme design standards that have come to be expected from the house of Starck. 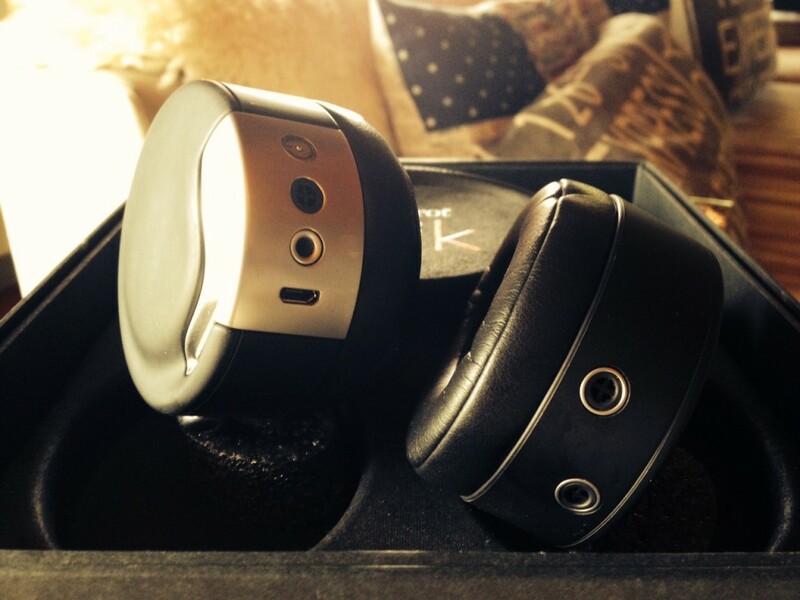 the headphones are simplistic in their futurist design, doing away with audio cables, and linking the audio output to a strong Bluetooth connection. Through this, the headphones can connect to multiple devices, perfect if you are living in the Apple ecosystem. The ports and buttons that it does have are well hidden at the base of the speaker. The ports you need are well hidden and integrated into the material design features of the headphones. In addition, the functionality of the audio control has been moved from the device where the audio file resides through to the headphones, opting for audio control to be managed through a wonderful touch panel integrated into the side of one of the headphones managing volume, track selection, and pause/play. Simply swiping your finger along the panel from left to right or reverse to move between tracks, up or down to control volume, and a simple tap pauses and starts the audio file. I set up the headphones in a matter of seconds to my MacBook Pro, iPad Air, iPod Nano and iPhone. And if that wasn’t enough, the headphone’s technology incorporates near field communication, meaning that it can be connected to NFC-capable mobile devices by just tapping your NFC device on the side of the speaker, and also includes initiative movement technology meaning that it pauses the audio if you remove the headphones from over your ears. Mind blowing, I know! 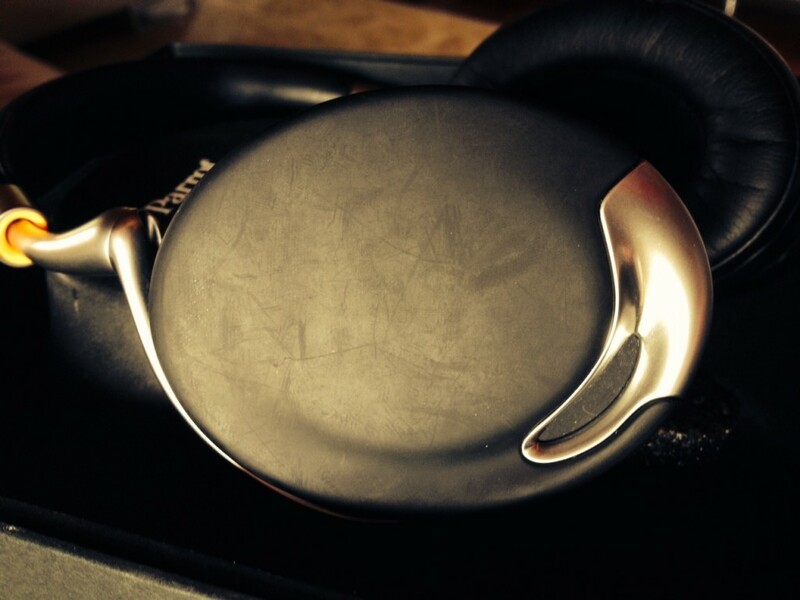 No button or volume adjustment wheels, the Parrot Zik by Starck have a glorious touch pad. So with design out of the way, lets move onto the audio experience. Parrot states it themselves that Starck demanded that the audio technology and output standards be beyond expectations – and Parrot has not disappointed. Simply put, the technology used in the construction of each earpiece is enough to put most other brands to shame. Instead of the standard two microphone approach used by most, the Parrot Zik uses four – two in each earpiece using Neodymium drivers – that’s just a fancy word for a powerful magnet used in the speaker that ensures the audio output is exceptionally strong and clear. Most other speakers use iron-ferrite magnets which are less expensive, but also compromise on the audio quality. Then, through the design of the products and the expectational detail paid to the materials, design and positioning of the technology within each earpiece, the headphones offer 98% noise cancellation – meaning that when you are listening to music, the world is shut out. Just expect to have friends and colleagues throw objects at you to get your attention. But they have not stopped there. Also available is an app that integrates with the headphones digital sound processor algorithm, which breaks down the sound files and reconstructs them to create a near-perfect concert experience. Through the app, the listener simply adjusts the concert setting (like moving seats during a performance) to fine turn the audio experience according to the type or genre of music chosen. 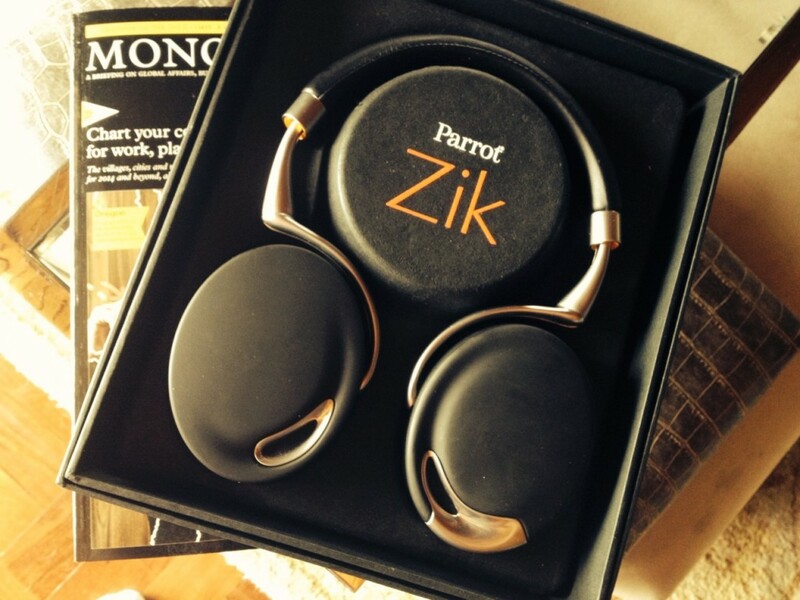 The Parrot Zik headphones by Starck are the best on the market. If you are determined to find speakers that provide the ultimate listening experience, then the Parrot Zik speakers are it – just expect to pay for the privilege. Undoubtedly, these speakers are priced at the higher/highest end of the market, and only a few will be willing to fork out the money for them. Having said that, this beauty is well worth it. Remember – 4 Neodymium magnet speakers, NFC and touch pad technology, all put together by a design genius. So, if you are looking to purchase, these headphones are available in Dion Wired and the iStores and you can expect to pay around R6000 for one, but the Orange Online Store offers them at a significantly reduced rate of R4775 and they will deliver it to you. Italians just do it better. Just ask Silvano Lattanzi.